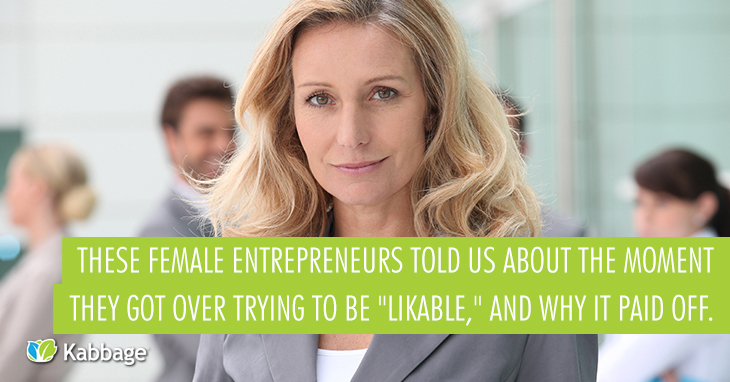 Do you worry about being “likeable” over standing up for yourself? Jennifer Lawrence recently penned a powerful essay on the pay gap between her and her male co-stars, saying she takes responsibility for not getting a higher paycheck because she was too caught up in being “likable” instead of advocating for herself. We talked to 10 women business owners/entrepreneurs who decided to put revenue and reputation before rapport, and began advocating for themselves. “I was an elementary school teacher in a small private school for many years. I never pushed or advocated for a higher salary, even though I knew I was liked and respected among the parents and administration. Looking back, I think there were a couple of reasons I didn’t push. One, of course, was discomfort. Another was an intimate understanding that the school didn’t have much money. And finally, as both a teacher and a mother of a student in the school, I received a tuition discount on top of my salary. “I’m fortunate in the sense that I grew up with a father who ran a business and was always very candid with me about the challenges of doing so. I’m proud to say that I’ve never signed an employment agreement without negotiation, but when I was younger I certainly didn’t negotiate as well as I should have (although I quickly recognized that negotiating at all meant that I was getting paid more than many of my peers). – Amber D. Scott, Founder/Chief AML Ninja, Outlier Solutions Inc.
Do you advocate for yourself instead of worrying about being “likeable” at all costs? Tell us about your experiences in the comment section below. If you’re interested in learning more about Kabbage, visit our business loans for women page.